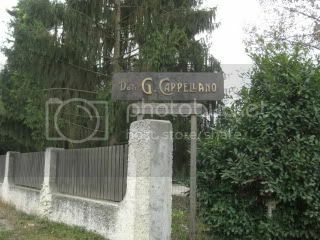 Our last appointment of Thursday was with Cappellano in Serralunga d’Alba. 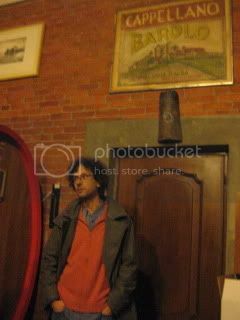 We met Augusto Cappellano (late Teobaldo's son), who is the 5th generation of the wine estate. 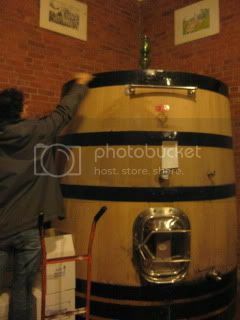 He said he started learning how to make wine since he was a little child. 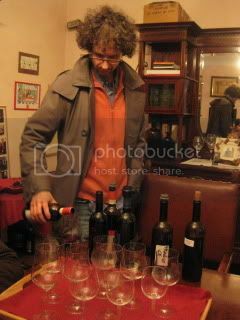 2009 Dolcetto d’Alba…fermented and aged in cement tank only. 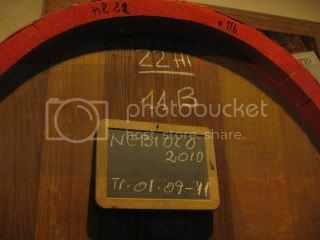 2007 Barbera d’Alba…aged in big cask. 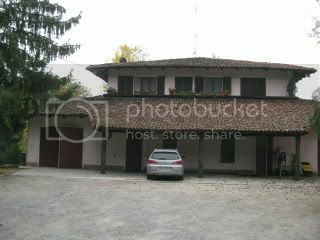 2006 Barolo, “Franco”…from 19-year-old vines. Big contrast with Rupestris. Softer and more elegant. 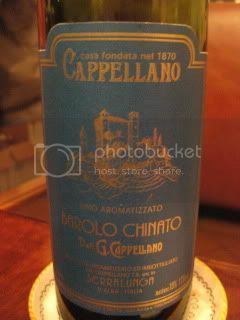 Barolo, Chinato…Cappellano is one of the most famous producers of Chinato. 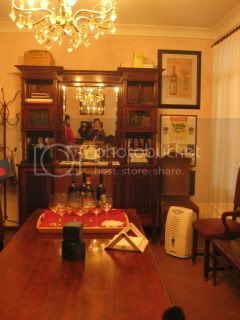 They also make Chinato chocolate!